This isn’t a geeky design at first glance however this Roku concept is inspired by Transformers, so it’s more than meets the eye one could say. No, it doesn’t transform, but do read on. I really like the Roku devices but they blend into the scenery and look similar to other players (Apple TV, Android TV, Amazon Fire, and so on), so I created this concept to give the Roku a little more presence when it’s parked by the TV. 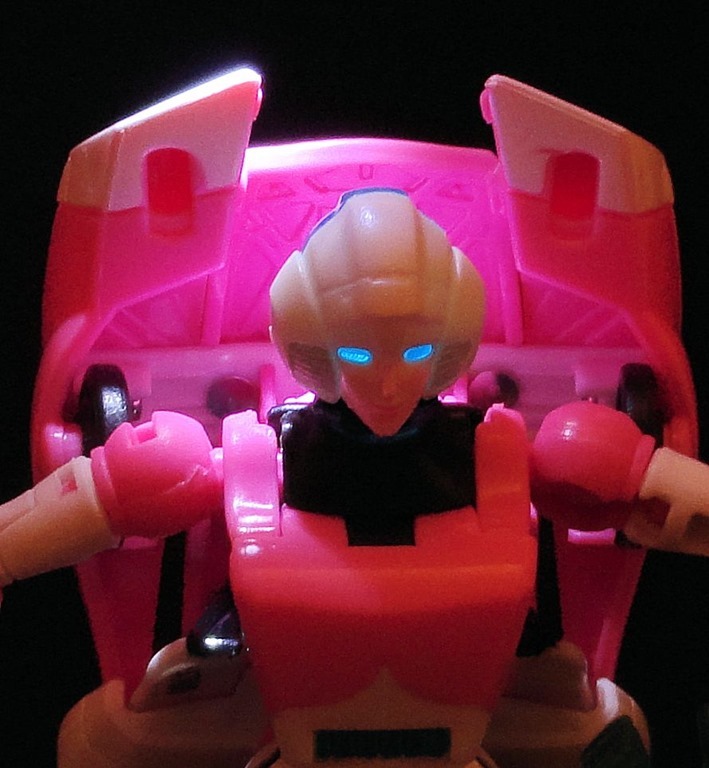 I incorporated “light piping”, found on Transformers figures to capture light and illuminate the eyes, to give this Roku player a back-lit logo without using LEDs. This Roku player would capture light from the TV to illuminate its logo, seeing as most Rokus are parked below or adjacent to the display. It would flicker and match whatever light the TV was emitting, so I’m hoping an actual device would be more subtle than what is shown here (smaller, not as bright), or else that could be annoying.